Are you looking for a new minivan? If so, we invite you to consider the Toyota Sienna in Indio, CA. 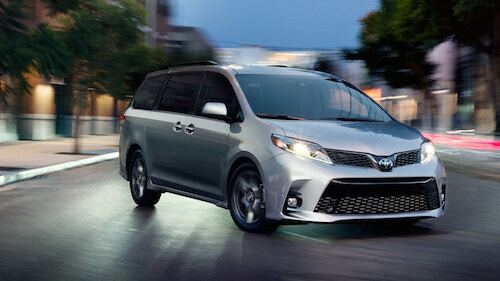 This Toyota minivan has everything your family needs including plenty of space for passengers and their stuff. With several rows of seating, plenty of convenient technology and abundant safety features you and your family will love the new Toyota Sienna. Browse our entire inventory of new Toyota minivans online and compare prices, estimated MPG, vehicle photos, trim and color options for Toyota Siennas in Indio. Please contact us with any questions or stop by to test drive a Toyota Sienna in Indio, California. We are on standby to help any way possible.